NE Farmer’s Market Table, Saturday July 28th, Volunteers Needed! Shakespeare in the Park, Saturday June 16th 7pm @ Logan Park The Cromulent Shakespeare Company will perform The Taming of the Shrew, free. Bring a blanket or lawn chair. 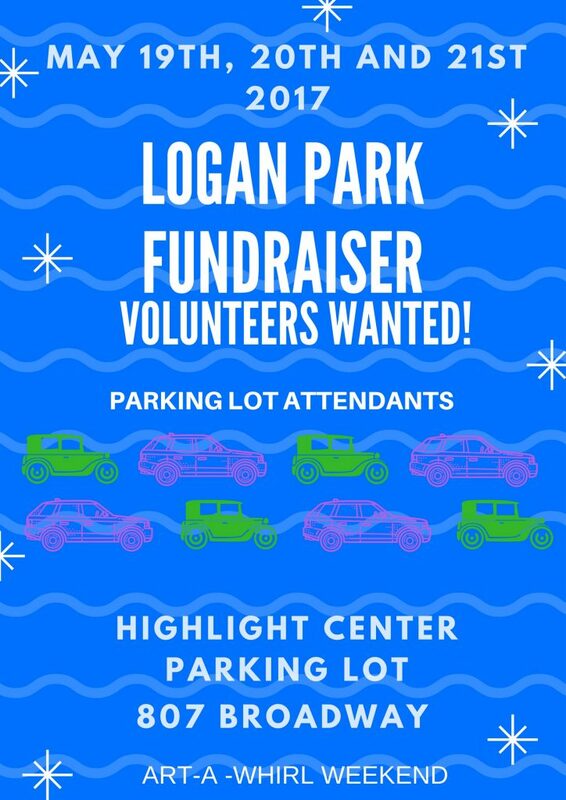 Clean Sweep, Saturday May 5th 9am-1pm Volunteers Needed! Tom Holmes, Zan Associates. 35W project, south of downtown. 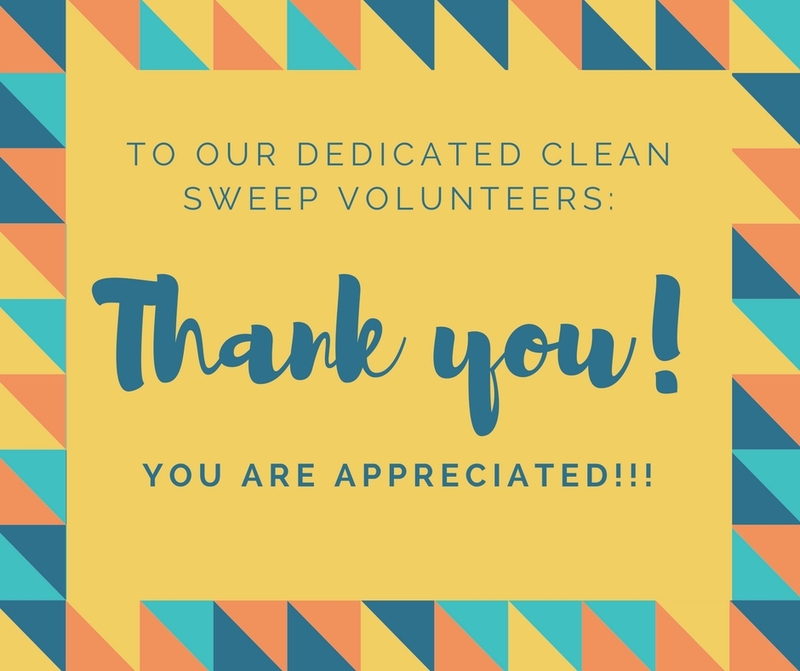 Thank you clean sweep volunteers! 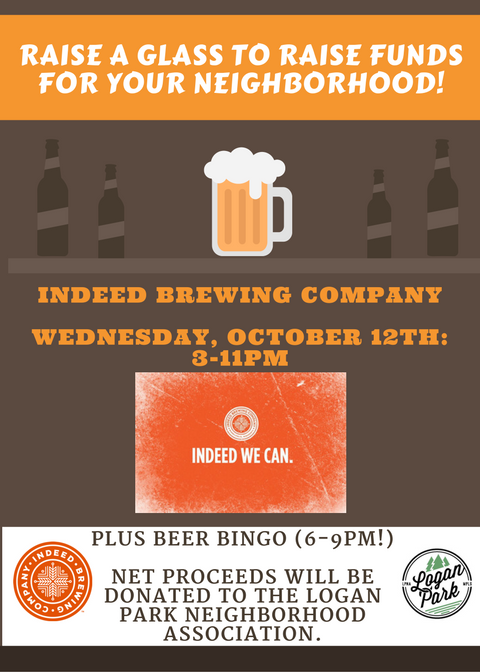 Join us for a night of Bingo and Beer at Indeed Brewing! 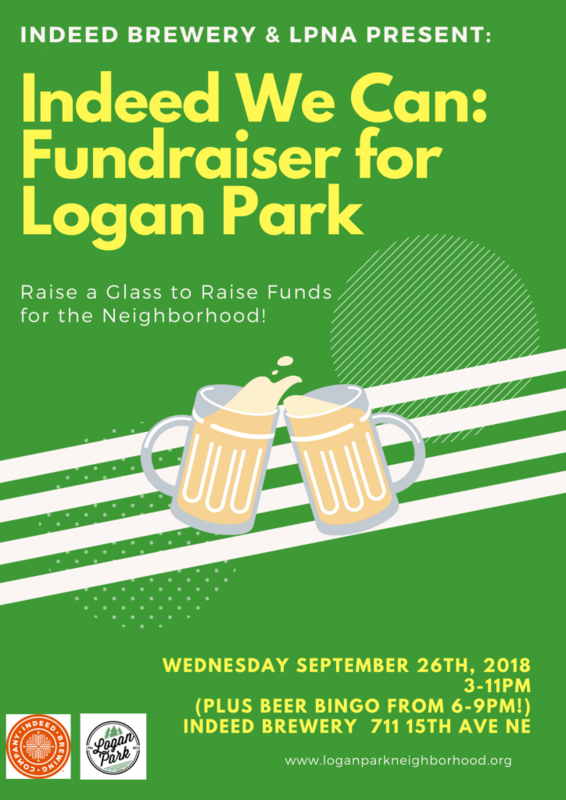 Indeed has selected Logan Park Neighborhood Association for its “Indeed we Can” give back program, net proceeds from the evening will be donated to LPNA. 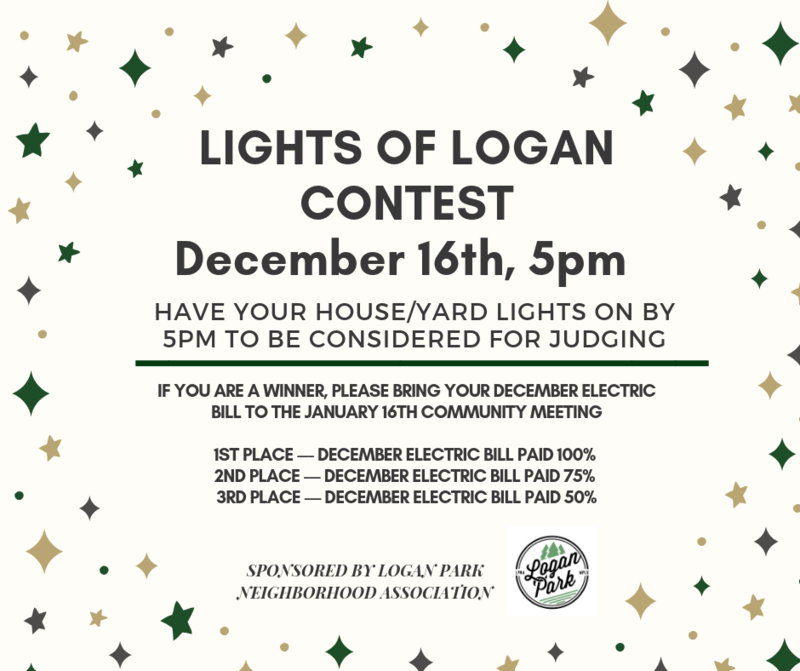 Meet your neighbors! Bring your questions and ideas! 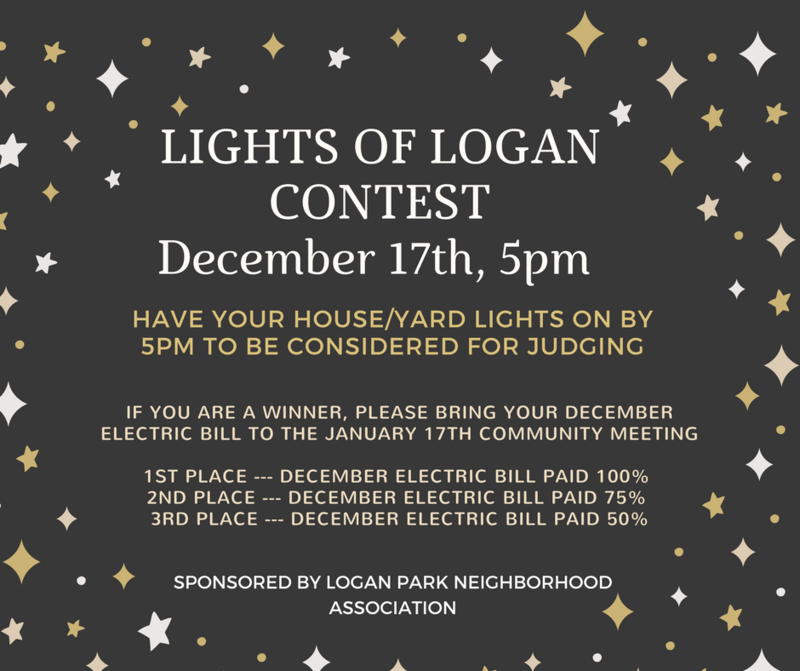 We will host a raffle for 5 Logan Park T-shirts!! 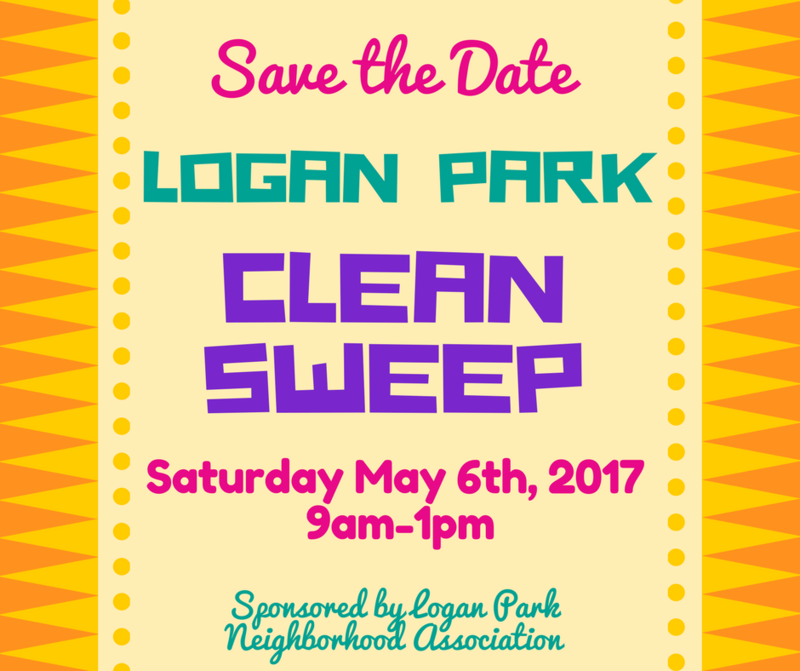 Sat May 6th Clean Sweep 9am -1 pm – Volunteers needed! CEE representative to speak on Energy Audits and Home Loan Program. 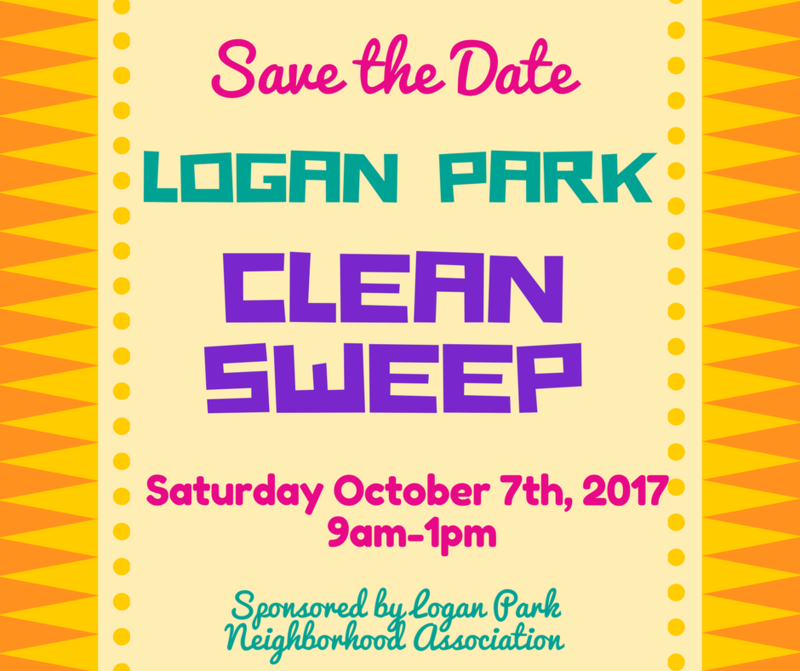 Clean Sweep – October 1st 9am-1pm: Logan Park neighborhood will host its second Clean Sweep event of 2016 on Saturday, October 1st. 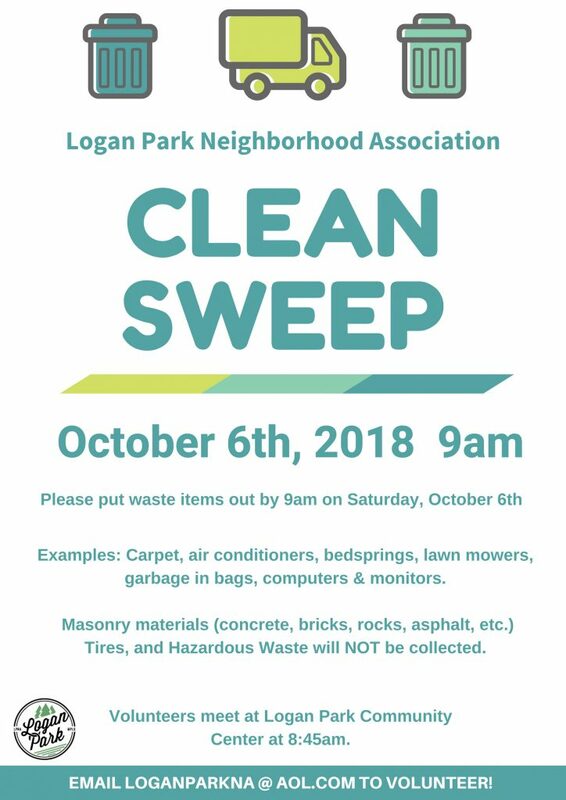 All large refuse and metal items, as well as construction debris, should be placed in one’s usual refuse pick-up area by 9am on October 1st. Join us in welcoming Kellie Kish, the Recycling Coordinator for the City of Minneapolis, to the June General Meeting, June 15th, 7pm @ Logan Park, childcare provided. 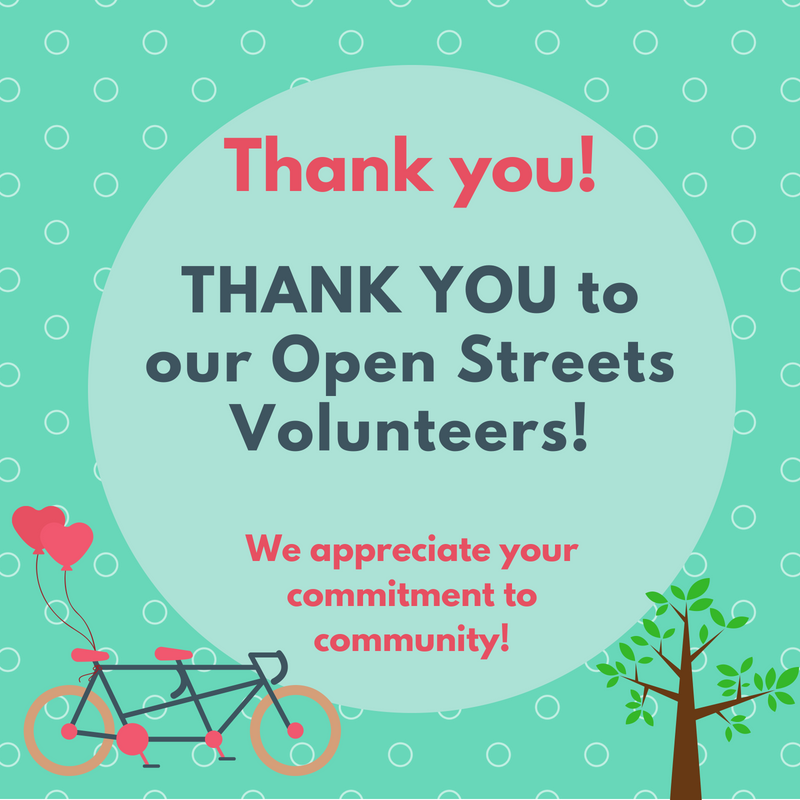 Maybe you’re curious about the green containers in the alley or you may have signed up and would like to learn the best way to move your organics from the kitchen to the container. This is your chance to have your questions answered! *Kellie will be bringing complimentary kitchen compost containers for the meeting attendees. 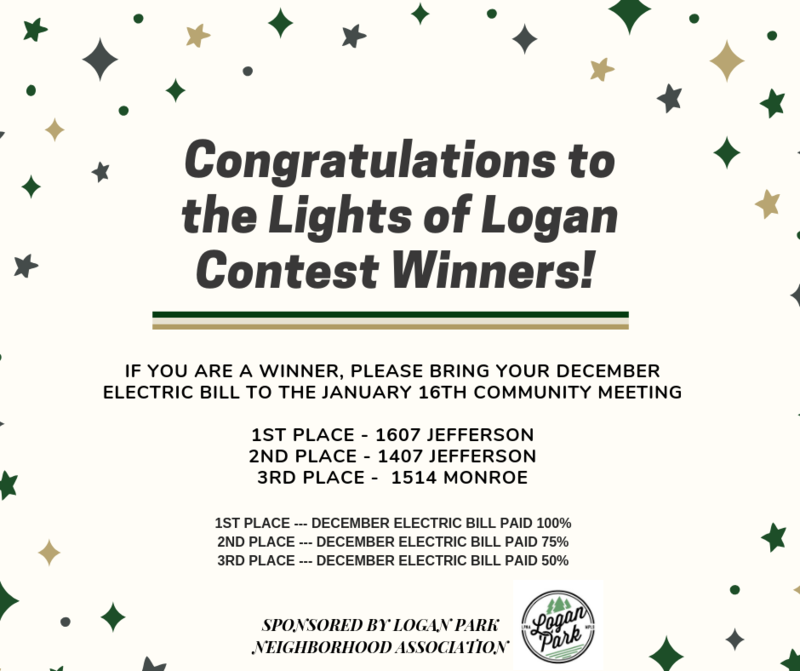 * More information can be found on the city web site. 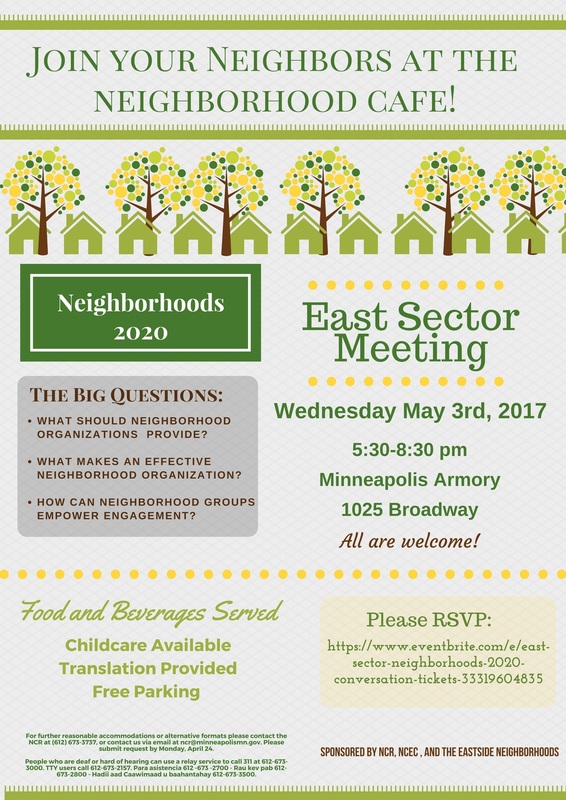 Join fellow Minneapolitans in a celebration of TREES! 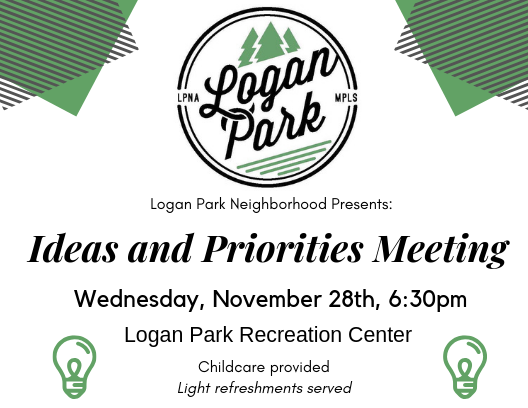 Together we’ll plant over 130 trees in Logan Park. After helping the park, let’s hangout, play some kickball, yard games, drink some beer, climb around on trees, learn from naturalists, and just have a good time. Bring the whole family! 4-8 pm: Landscape scale yard games – tree cookie checkers, throw line flingy pongy (tree-sized ladder golf), etc. 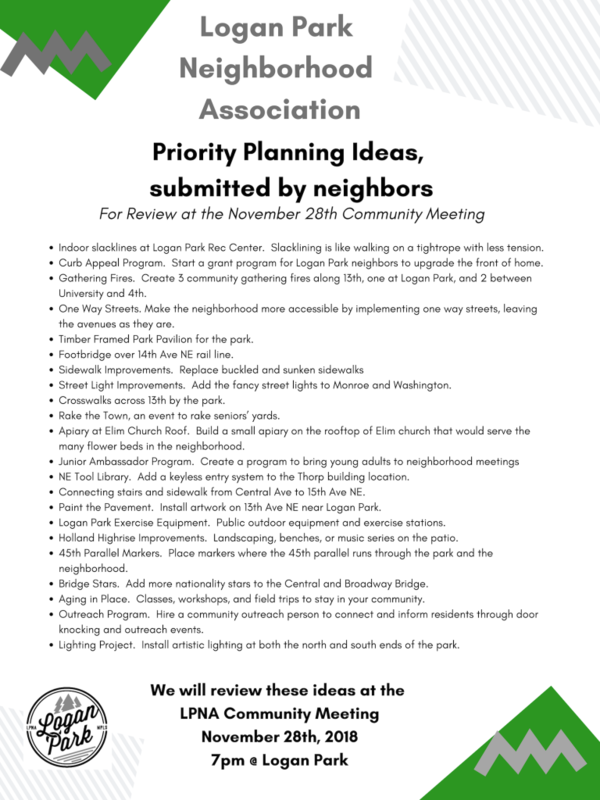 3rd (and final) Small Area Plan Town hall Meeting – March 30th Solar Arts/Chowgirls 3rd Floor, 6:30pm. Plans will be posted for review and steering committee members will be available to answer questions. There will be a short presentation at 7pm. Doors open at 6:30. Children welcome to attend. Light refreshments will be served. 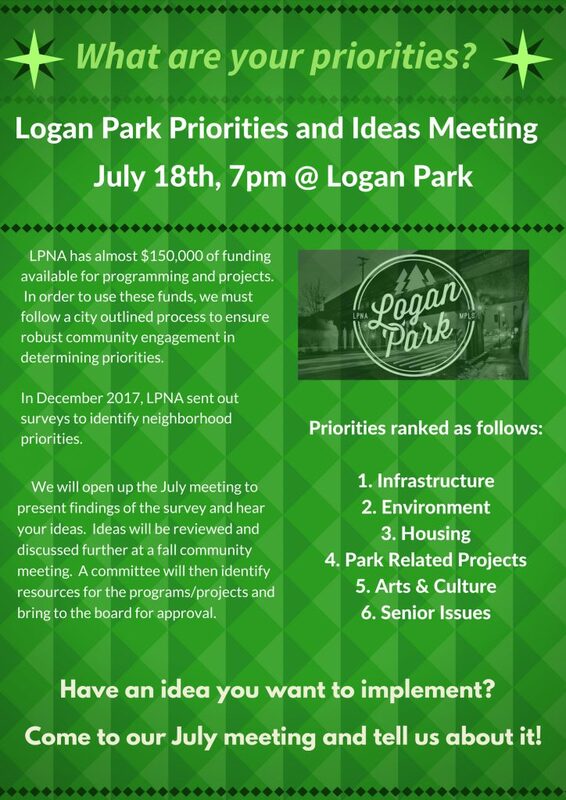 La asociación del barrio de Logan Park le invita a asistir la tercera (y última) Reunión de Ayuntamiento para el Plan de Área Pequeña del Barrio. Se pueden llevar al evento los niños. Se servirá un refrigerio ligero. 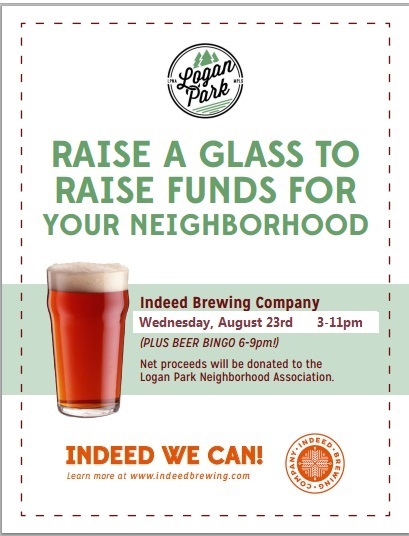 Indeed Brewing Company generously offered to sponsor the annual “Indeed We Can” fundraiser for the Logan Park Neighborhood Association (LPNA). On the evening of Wednesday, October 14th, the convivial taproom also became a festive bingo hall. Many hopeful bingo players competed for fantastic prizes from neighborhood businesses and individuals. The atmosphere of winning heightened the fun of raising a glass of beer for a good cause. During bingo play, there was one particular “hot table” of winning, where four of five players won prizes, some more than once. Oddly enough, this was the same table that last year set a lucky winning-streak as well. Sorry, but the location of the “hot table” will remain a secret to see if it works it’s magic again next year! 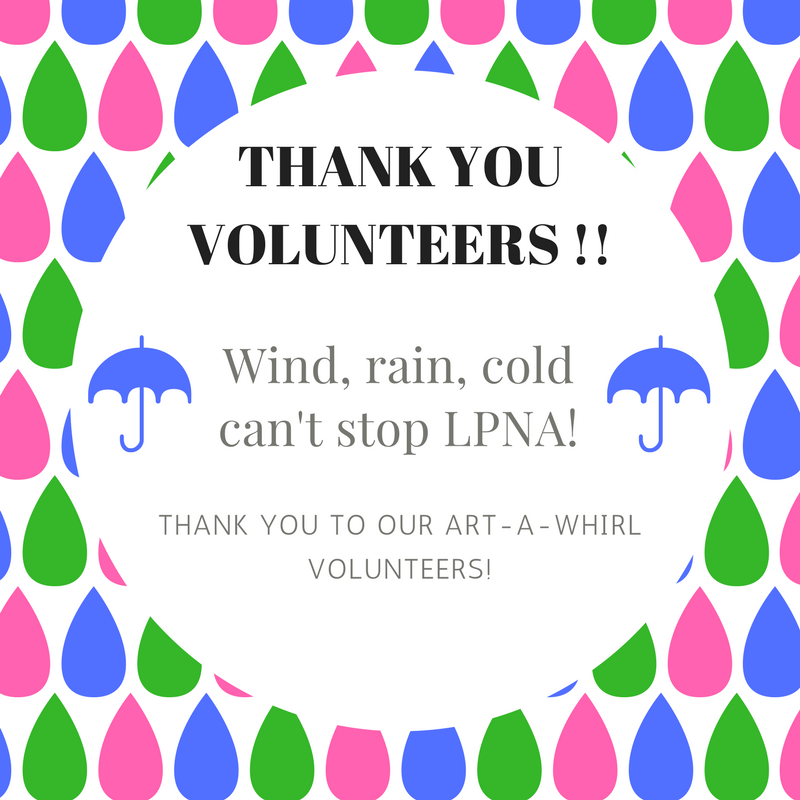 We wish to thank our supporters, who without your contributions this event would not have happened. And… all of you who came out to “raise a glass” for this fundraising event. 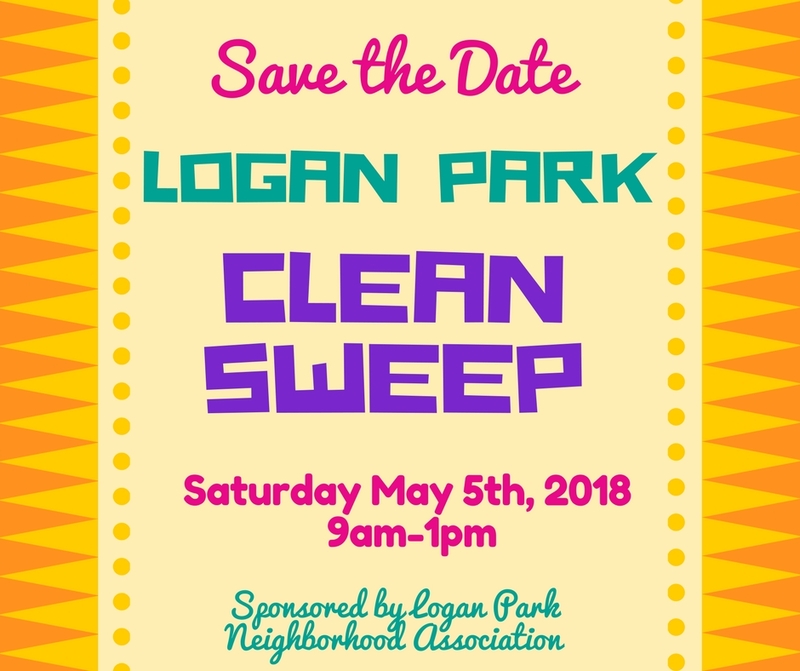 Join the Logan Park Neighborhood Association on Saturday, May 16th for a day of Mail Art! 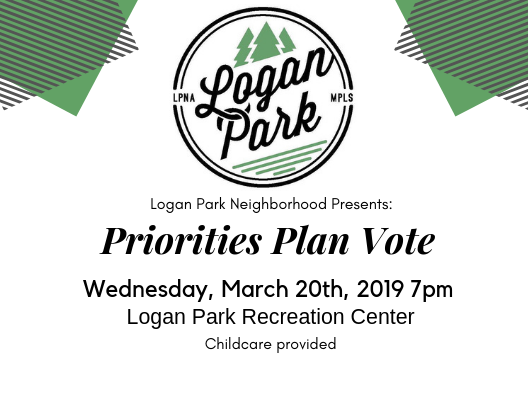 The United States Postal Service will be on site to unveil a Logan Park cancellation stamp designed to celebrate Logan Park as the Heart of the Arts District. This cancellation stamp is considered collectible, and of no cost to you, so bring your mailing materials for cancellation! Don’t have mail? No problem! 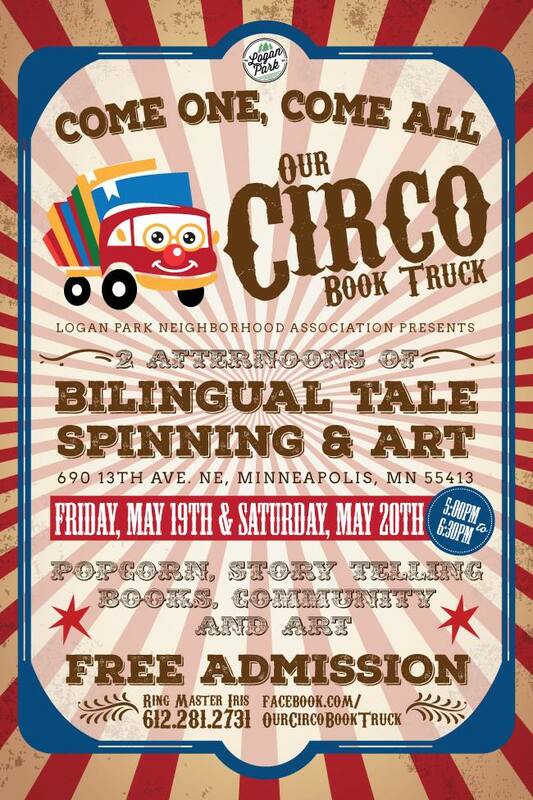 The Minneapolis Institute of Arts will be on site hosting a free postcard making event for all ages. We will also be selling limited edition first class postage stamps, featuring the Logan Park logo!